Tervetuloa tutustumaan Rudy Projectin pyöräilykypäriin ja urheilulasiratkaisuihin Optiikka Juurisen osastolle 6 G 80. Osastolla mukana Triathlon Vantaa ja Helsinki City Triathlon. Rudy Projectin RX-urheilulasiratkaisut ovat tulossa hyvin varusteltuihin optikkoliikkeisiin kautta maan. Seuraa meitä Facebookissa ja pysyt ajan tasalla uusista tuotejulkaisuista sekä laajenevasta jälleenmyyjäverkostosta. 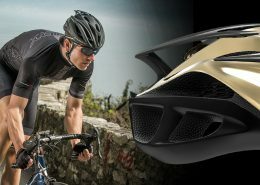 Offering freeform single vision and progressive lens design for performance sport wraps, ImpactRX™ is the world’s most advanced digital back surface lens program, fully personalized for your lifestyle. We’ve combined a revolutionary lens material with the best 8 base wrap design to create the best prescription sports lens in the world! 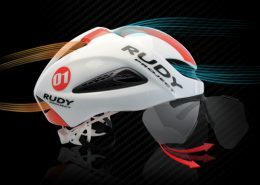 If you’re a contact lens wearer but want another option if your eyes become irritated or you simply don’t have the budget for prescription sport sun lenses such as ImpactRX™, Rudy Project has another option for you. Our RX Direct Clips allow opticians to easily edging prescription lenses in office without the need of complex cutting machines. Thanks to a patented smart mounting system, they can be removed in a snap. This solution offers patients the versatility of interchangeable clear and sun RX lenses in the same frame. 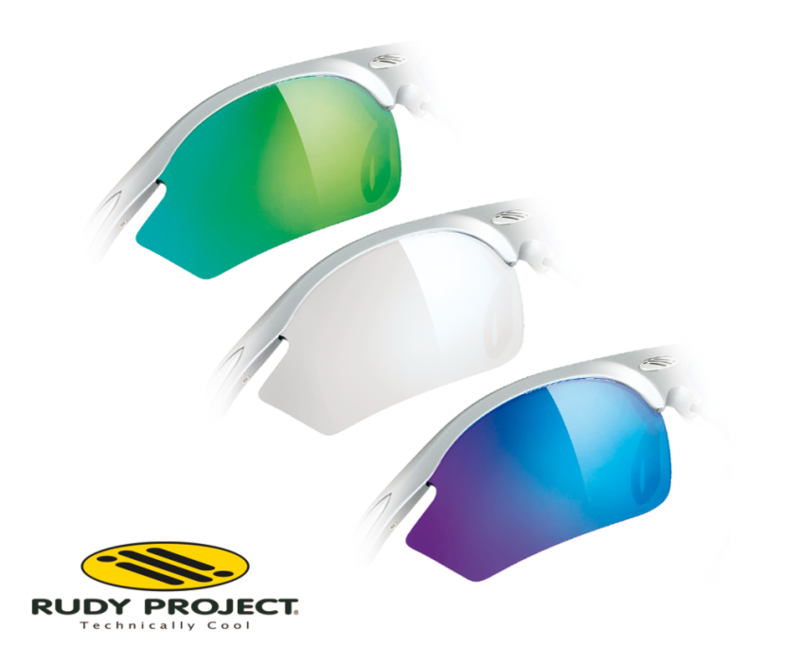 Rudy Project has created prescription optical clips that fit in snugly behind the non-prescription (plano) lenses. Our patented “easy-in, easy-out” system enables insertion or removal of our clips with ease. Your patients can manage varying light conditions by swapping their plano lenses while minimizing their investment in prescription lenses. Mount any type of lens, without any limitation. Choose any material, any color, any treatment, almost any power, single vision or progressive. For our Maya™ and Indyo™ frames the possibilities are limitless. Designed for sport but ideal for any occasion, the SUF serve up a fashionable, functional and flexible eyewear option for individuals with vision correction needs. 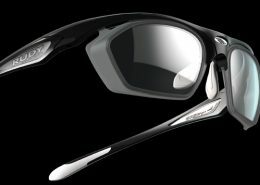 Our flip-ups are equipped with Quick Change™ interchangeable lens technology allowing players and athletes to manage any light condition on field, on bike or on the green. It is perfect for any sport where it is necessary to see true light quickly (e.g., baseball, biathlon, golf, shooting, archery, etc.) or eliminate fogging. The removable optical inserts can support a wide variety of prescriptions. Designed for sport but ideal for any occasion, the ophthalmic solutions serve up a fashionable, functional and flexible eyewear option for individuals with correction needs. This unique and extraordinary solution adapts perfectly to different contexts: from cycling to running, from tennis to golf, from the office to the night out on the town.